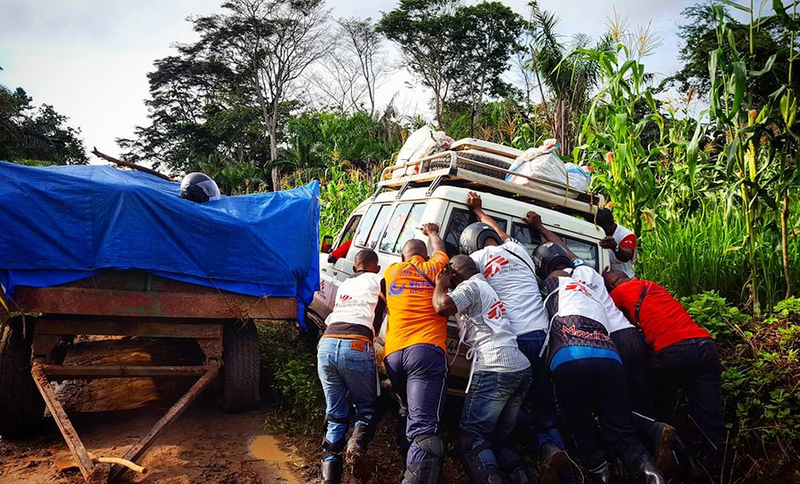 Now she feels at home in Kibomba, Democratic Republic of Congo, Health Promoter Izzy Scott Moncrief has been busy battling through thunderstorms and over muddy trails to screen patients for sleeping sickness (HAT). As I mentioned in my last post, Sleeping Sickness (aka Human African Trypanosomiasis, or HAT) is a potentially deadly disease transmitted by the tsetse fly. 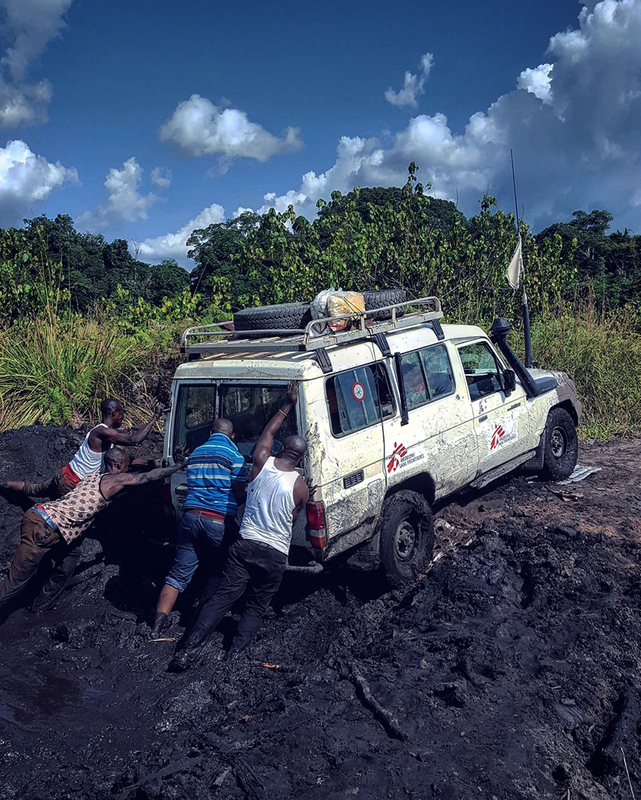 I'm part of a team screening people in DRC's South Kivu region for the disease, to ensure that people who are infected can access potentially life-saving treatment. 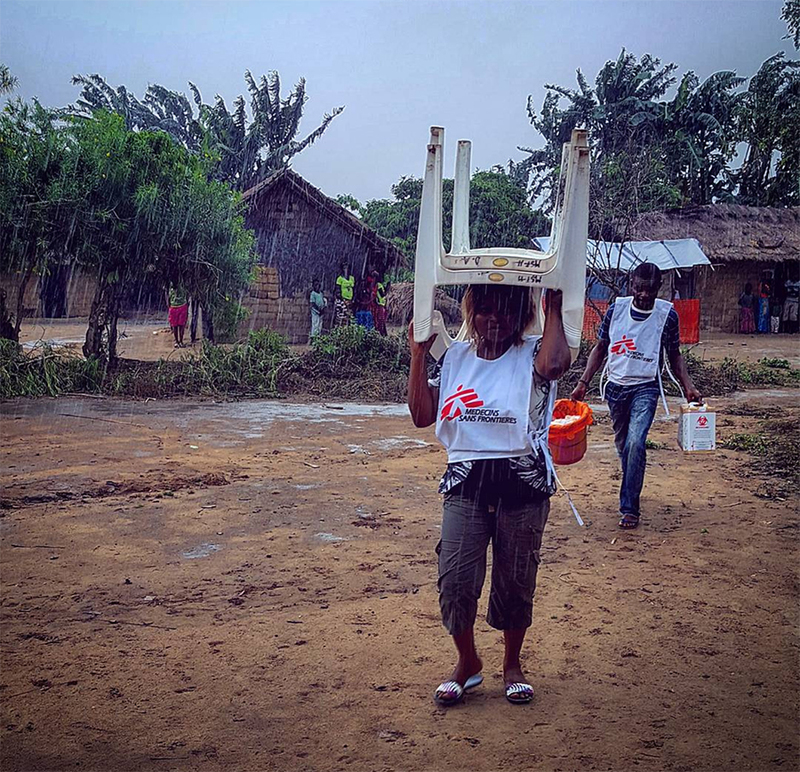 Screening people is a vital part of MSF's work, but it isn't easy. We start with an exploratory assignment – or “explo”. This involves sending a stripped-down team to work out where we should be going for the active screening part of the project. 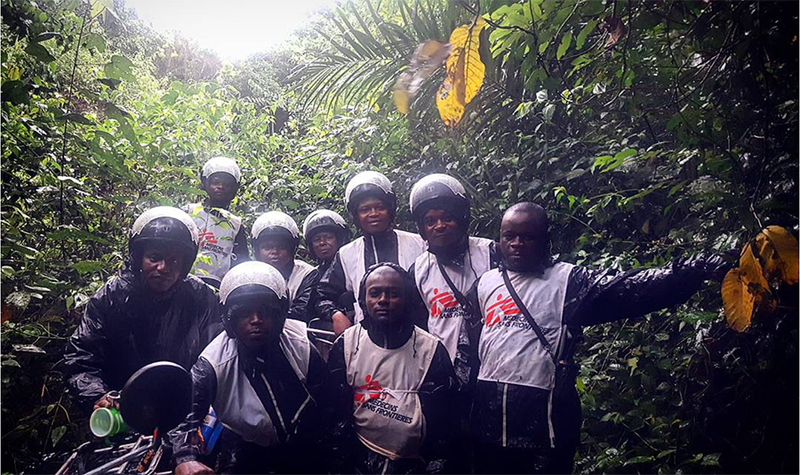 The explo team usually consists of three or four motorbike drivers, a nurse, a health promoter and a logistician. 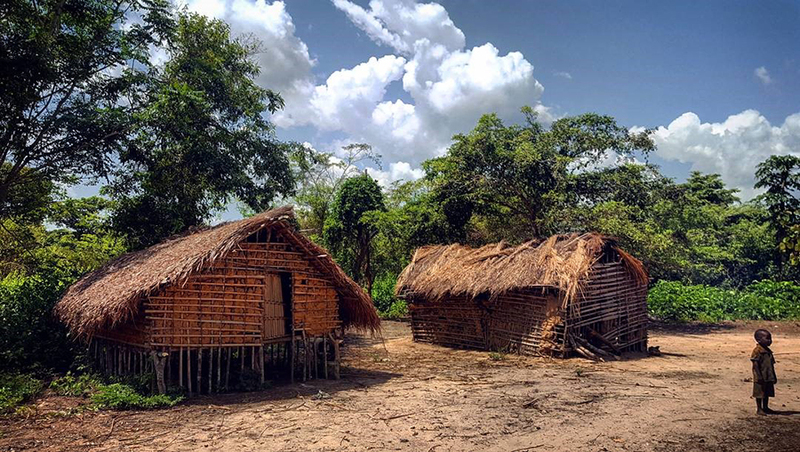 The idea is that we set out to visit a collection of villages within a predefined area, gathering as much information as possible about each one to help us assess suitability for us to return with a bigger team to start testing people for sleeping sickness. On the explo we set up a sub-base which consists of tents, space and shelter for cooking, a basic latrine and area for showering. And then we bring specific bits and pieces with us, such as buckets specifically for chlorinated water and hand-washing, plastic chairs and huge thermoses for hot water. I’ll give an example of a couple of weeks ago, and my first explo assignment. I can’t say it was typical, but it was certainly pretty special. That first night was the biggest thunderstorm I’ve ever experienced, which seemed to last for hours. I genuinely think I went temporarily deaf in one ear. And probably partially blind as well. I’ve since learned that aggressive storms are normal here at this time of year. None of the team, or passers-by walking their goats seemed remotely phased by the fact that the road had become a river. Saying that, I at least assumed that our plans would be adapted slightly to account for the bad weather and dodgy trail, but obviously not. So, it took a four and a half hour motorbike ride to reach the target village (85km away). An interesting journey to say the least. 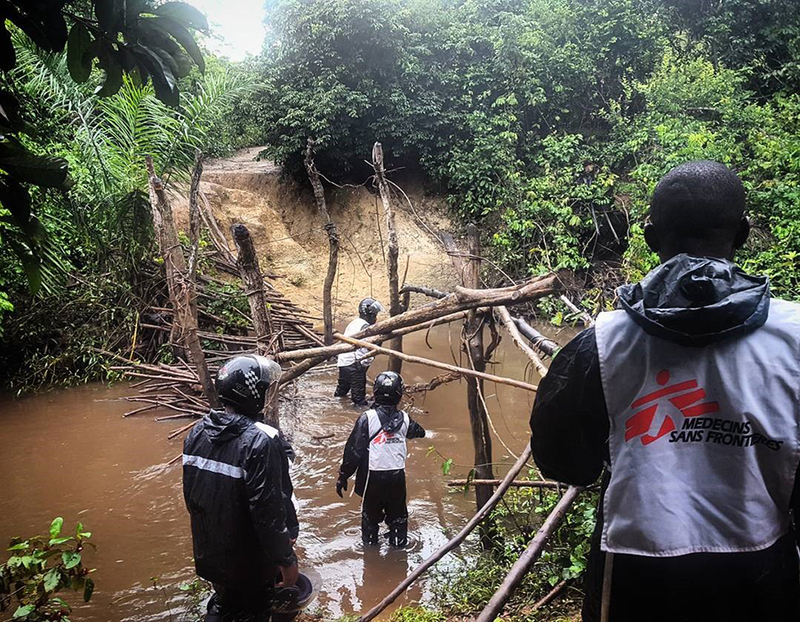 Talk about being “Doctors Without Borders” though – we came across a “bridge” which probably actually functioned as a bridge once, but this week much of it was not there. 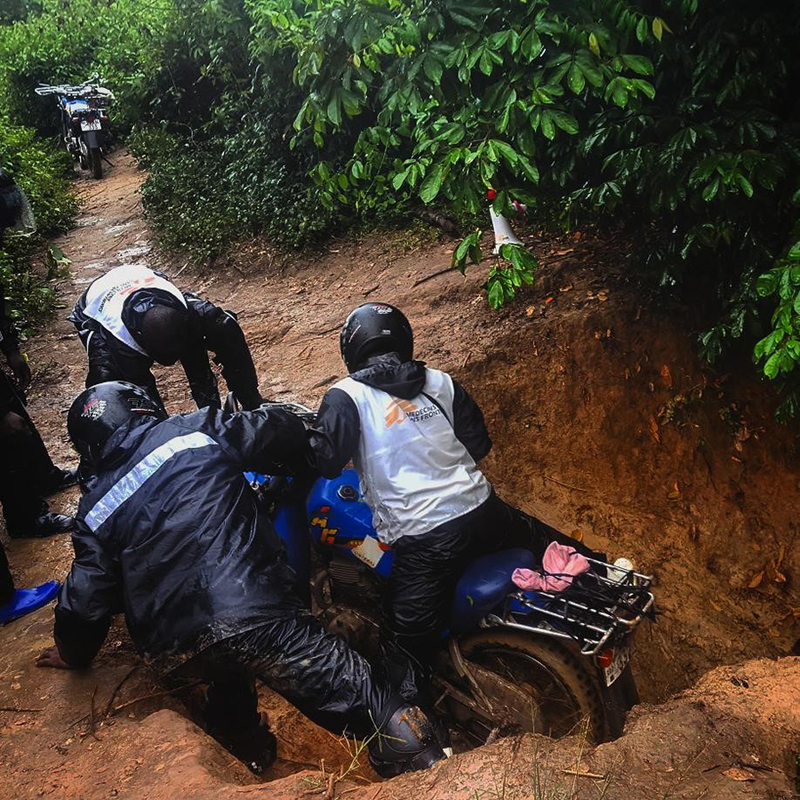 Through various trial and error attempts, we got all six motorbikes down one steep back, across the waste-high river and through extreme perseverance, up an unbelievably slippery bank at the other side. I was absolutely knackered by the end of that day. It could have been a decent opportunity for a little sleep on the back of the motorbike, but if I lost focus for a few seconds, I’d only have a moment to notice the fallen trees which we had to duck beneath to avoid being beheaded. God knows how the drivers must have felt. The villages we visited were so hospitable – after identifying the village chief and having a quick chat with him (always him), and as soon as it was clear we were going to be there for more than a couple of minutes, people would rush out of their houses clutching chairs and stools for our team. Given that I would regularly fall over when getting off the motorbike, I could really have done with a walk to stretch my legs a bit, but it was best to avoid being impolite. Once we’re seated in the village, the health promoter (“sensitiser”) in the team takes charge. 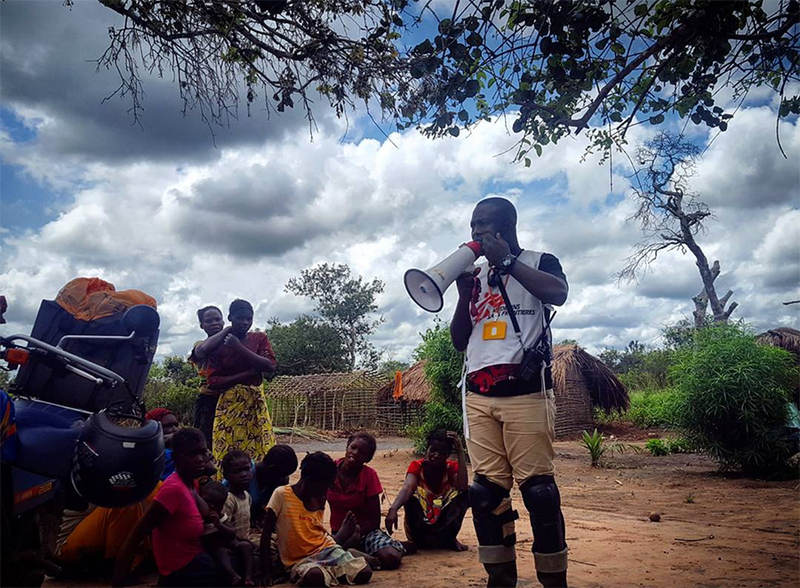 Armed with megaphone, they address what is hopefully a reasonable crowd of people, asking a series of open questions designed to stimulate discussion around sleeping sickness, the vector and screening. From evaluation of these conversations and the responses heard, we try to filter villages by order of priority for screening. 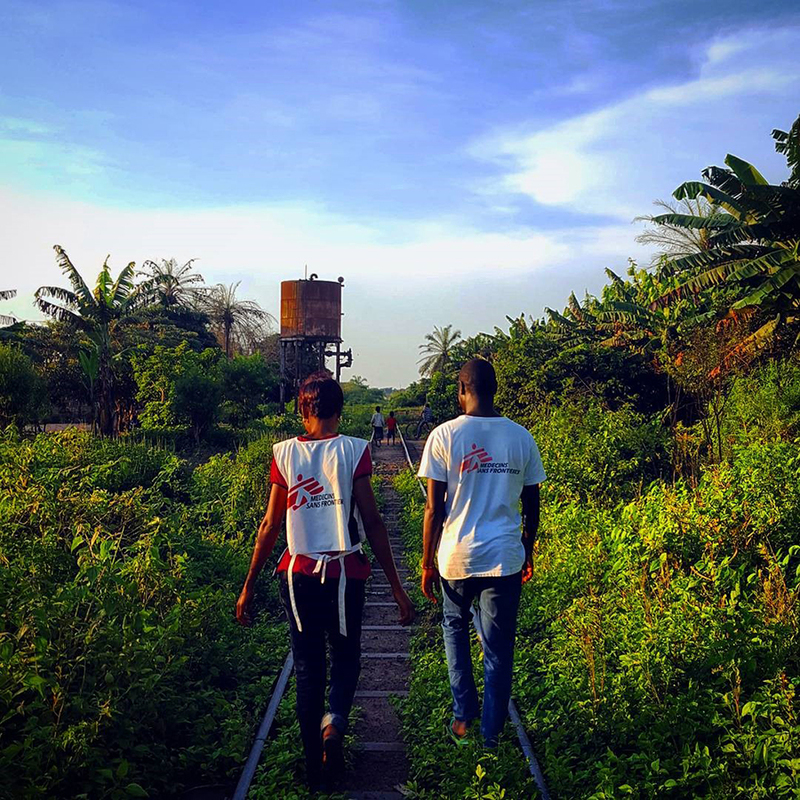 The process of active screening in these villages tends to happen quite soon after we’ve reviewed findings from the explo, so that MSF is still fresh in people’s minds. The sub-base structure is like that of the explo, only bigger, and with somewhere in which we can store dry materials and medical supplies. Food-wise, we’re looking at rice or foufou (a ball of carbs made of cassava root flour), cassava leaf (a spinach-like sort of vegetable) and some sort of meat. I’m yet to see a goat changing hands, but at one point three of them just appeared tied to the Land Cruiser. Then one day there were two, and we had goat for dinner. It’s mostly not terrible, but as every meal for a week it gets a little samey. I think I’ll be able to explain the screening slightly better using a series of photos. Or at least provide a more interesting account of the process, whilst advertising my Instagram account. 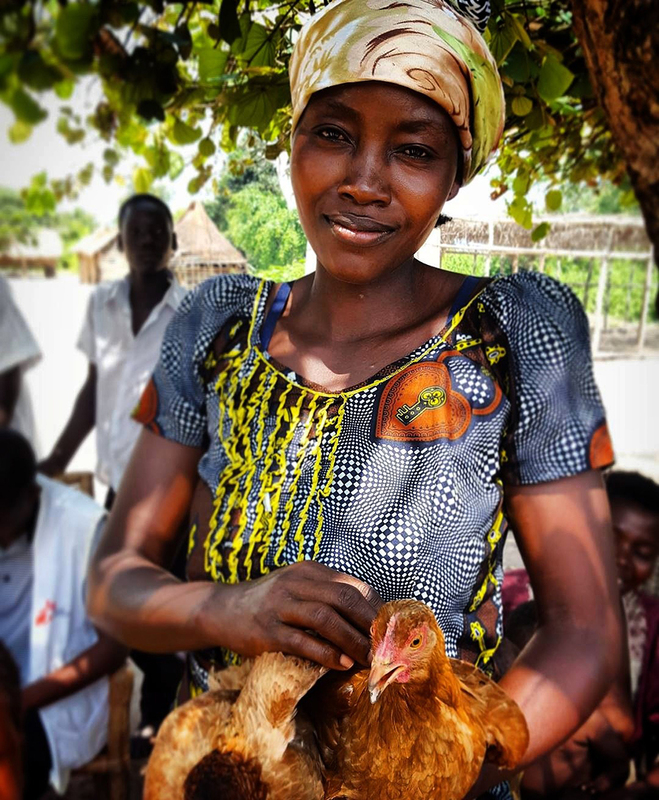 A woman who came to the active screening site with her five children, and very colour-coordinated two chickens. These were a couple of structures (the one on the left, a house, and the right, a shelter for animals) in a small camp about 5 km from a village we were screening. There were about 40 people living there, the majority small children. Normally we would accompany the community on foot to the screening site, but we anticipated this journey taking about 2 hours with a gang of toddlers, so instead brought the screening site to them. This very photogenic guy had just tested negative for HAT, and malaria. 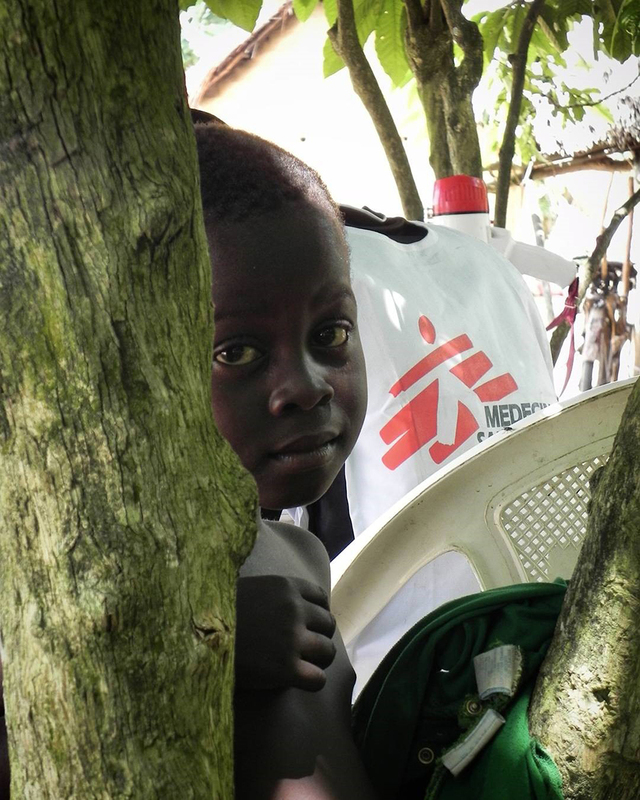 The prevalence of malaria in the health area we have been screening over the last couple of months has been around 70%, with the majority of cases being children under 5. 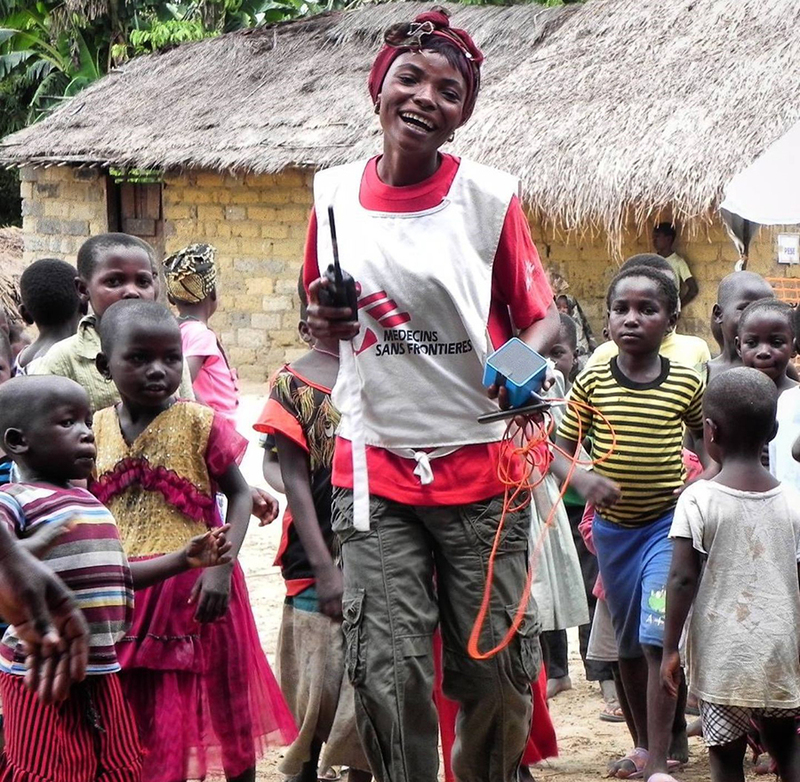 Sophie almost succeeding to get the children to join her singing and dancing at one of the screening sites. 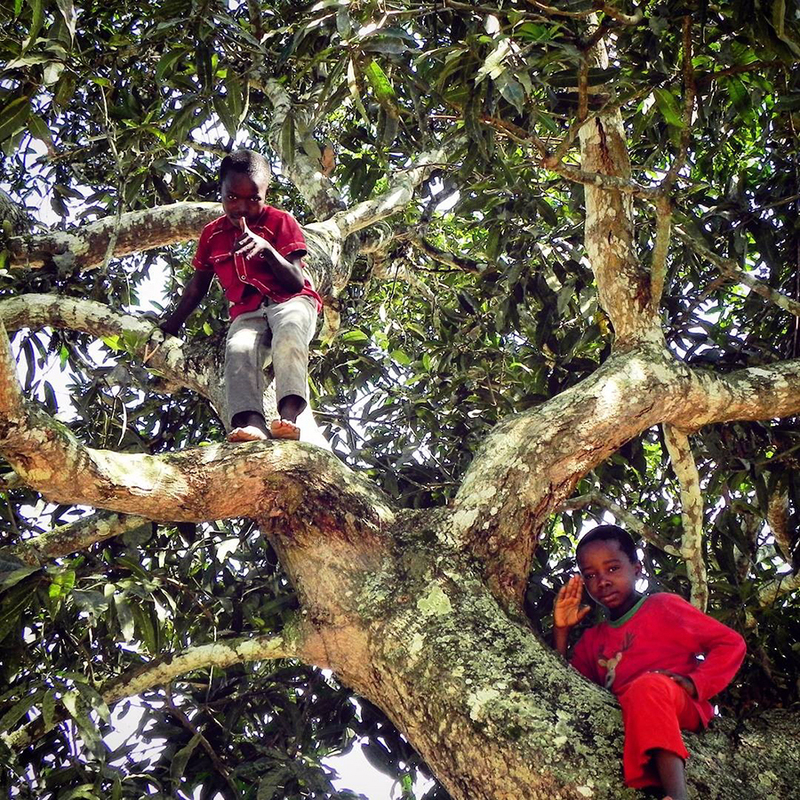 Climbers of a mango tree. Unfortunately they couldn’t find us any mangoes. Me, looking very pained (blame the sun), with a village chief and his son who was helping with the community engagement on the day of active screening. 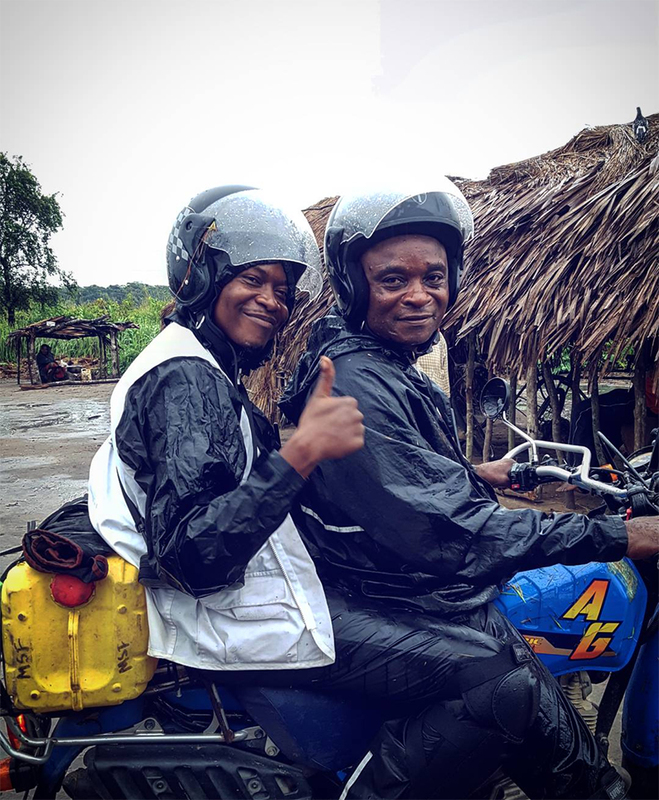 Augustin the logistics manager with Jean-Baptiste the motorbike driver on the way to a very rainy active screening. Rams, one of the team motorbike drivers running the weighing station at the screening site. 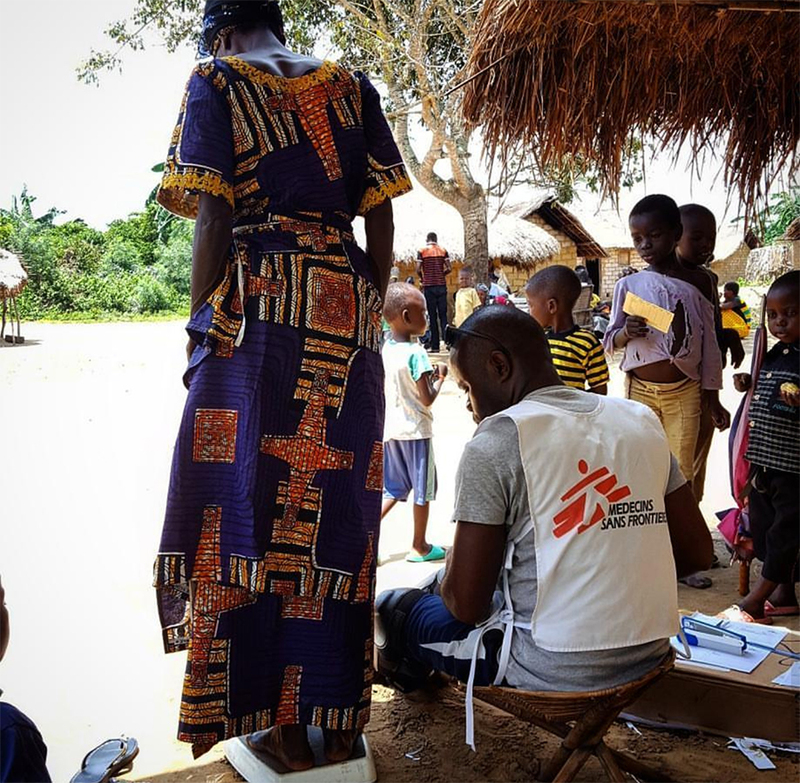 When people test positive for malaria, they are weighed to determine the appropriate dosage for the treatment we provide. “Rapid response” – although we do put up structures to protect the lab equipment from the elements, when it rains, it pours, so it needs to be a fairly efficient operation to get everything under shelter. So, this is really just a snapshot of the work of the mobile HAT project. 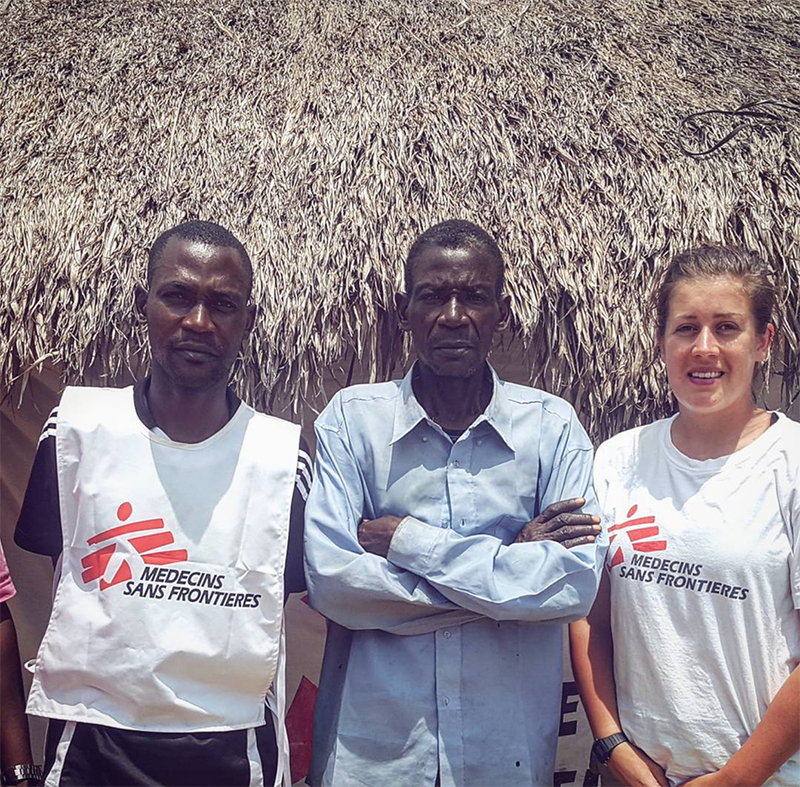 Since I arrived in Kibombo, the team has screened 3,253 people, and found just 5 testing positive for HAT. This is obviously a good thing for the people in the area. Sleeping sickness was endemic in the region, and now it doesn’t seem to be. But it motivates the team when we find a case, and can see that we are looking in the right places. 2018 means new areas to explore. It remains to be seen what they’ll turn out. Now, I need to fly. 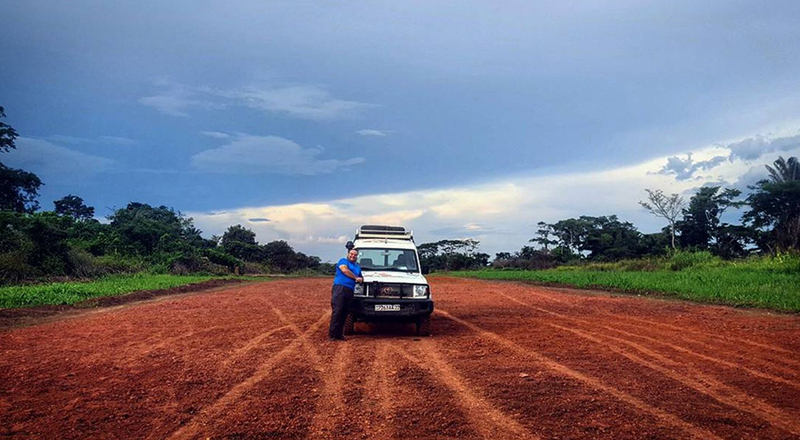 Really conveniently, in the two months since I started writing the first 2,000 words of my blog, construction was started and finished by our TechLog (Technical Logistician), Marius, on Kibombo’s very own airstrip. This cuts the journey time in and out of the project by 36 hours, which is fairly useful. 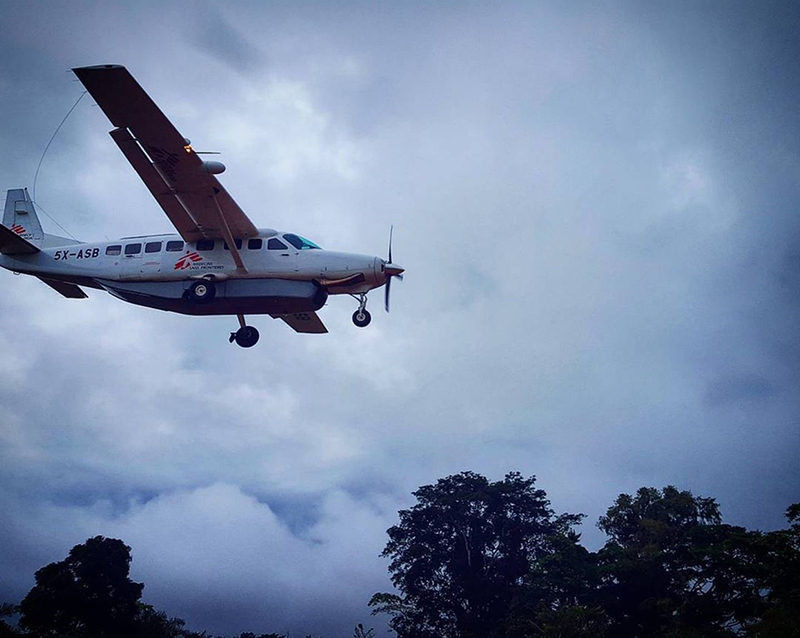 The trip previously involved a 5 hour drive to a bigger town called Kindu, where we had to stay the night and then take a flight the following day. Maybe that doesn’t sound horrific, but the last time I made that journey it was 10 hours each way after various adventures stuck in mud and breaking bridges.